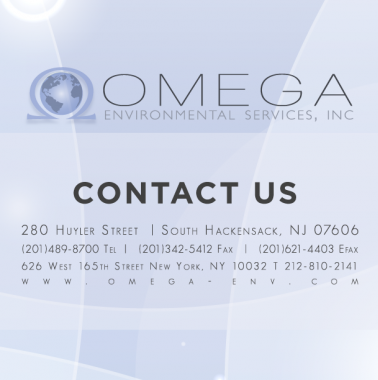 Since opening, Omega has experienced a health & controlled growth rate of nearly 20% per year. We have found success by focusing on the needs of our customers without compromising quality or liability related issues. Our clients benefit from the highly experienced problem-solving teams that are built on the technical and human resources of the Omega organization working on thousands of projects. Our aim as an organization is based on providing superior customer service, rapid response and “turn-key” environmental health & safety services. Our company policy is to earn our client’s trust and respect by providing exceptional client service and consistent high quality work. Download our PDFs and connect with us on social media. 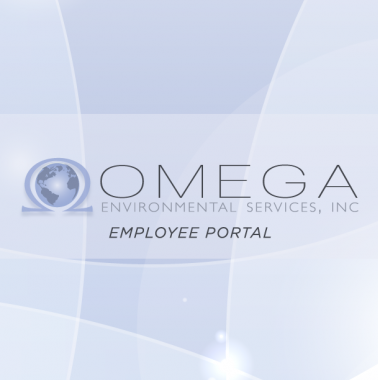 Please click above to sign in to our employee portal. 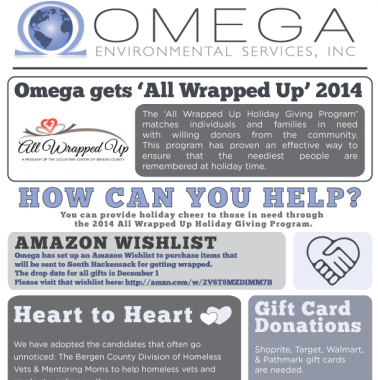 Omega Environmental is proud to be a sponsor of "All Wrapped UP" - a project to help the less fortunate have a happy holiday by giving back to those in need.